Are you ready to share some auspicious words and phrases with your guests? 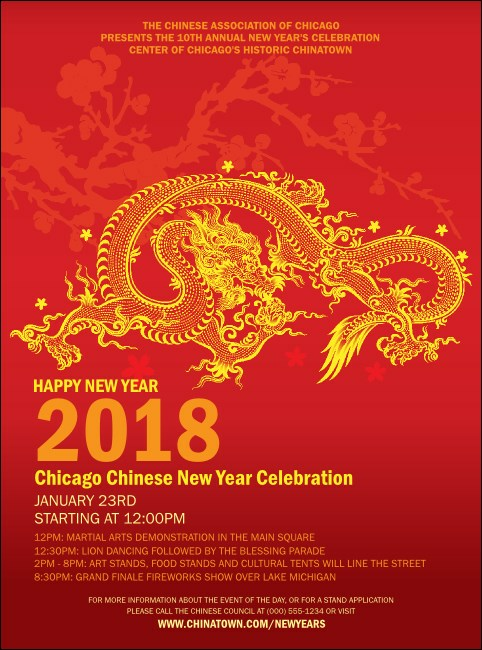 Start advertising with this bold, beautiful Chinese New Year Flyer. A large dragon clutching the pearl of wisdom festoons a lucky red Flyer with yellow and orange accents and plenty of space for you to include all of your event details on this template. Find tranquility with the right design from TicketPrinting.com.